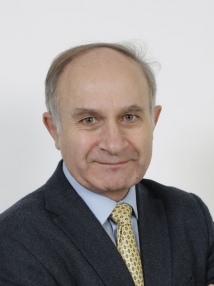 Sergei Kazarian is Professor of Physical Chemistry in the Department of Chemical Engineering of Imperial College London and a Fellow of the Royal Society of Chemistry. He has published over 190 peer-reviewed articles and reviews in leading scientific journals and 12 book chapters, over 100 of his articles are on applications of FTIR spectroscopic imaging. Sergei’s group is one of the world’s leading centres for spectroscopic imaging, for which he was awarded a European Research Council Advanced Grant in 2008 and, in 2007, led a team which received a Research Excellence Award from Imperial College. His research focuses on the development and applications of spectroscopic imaging to materials, biomedical samples and pharmaceuticals and is generously supported by a number of grants from EPSRC, MRC, BBSRC and industry. His research in spectroscopic imaging was presented at the Royal Society’s 350th Anniversary Summer Science Exhibition in 2010.